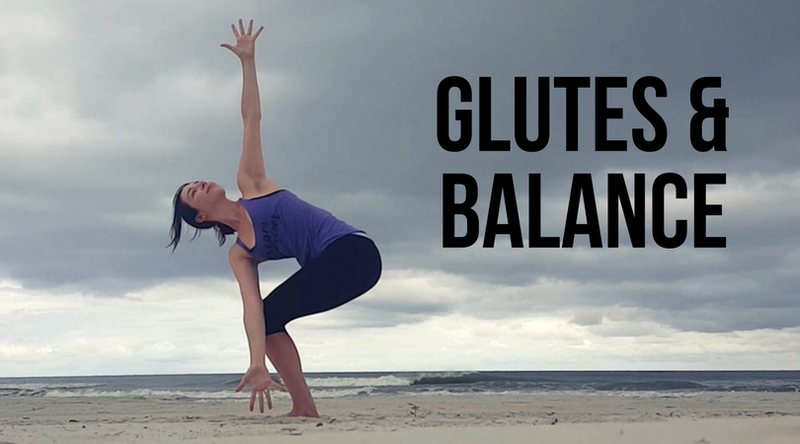 Hey yogis, I filmed this quick glutes & balance yoga flow while visiting Florida and I think you're going to like it! This is an intermediate practice that will take you through poses like Warrior 3, standing splits, chair variations, pigeon, crescent lunge and eagle pose. All of the flows will help you tone and strengthen your lower body, specifically the glutes. We'll also play with balance poses that have you standing on one leg which is a great way to strengthen your legs. I did this pose on the beach so I didn't have any props, but you might want to have 2 blocks close by for poses like standing splits. I'm also ending this practice in a short meditation instead of savasana to make it perfect for a quick morning flow.